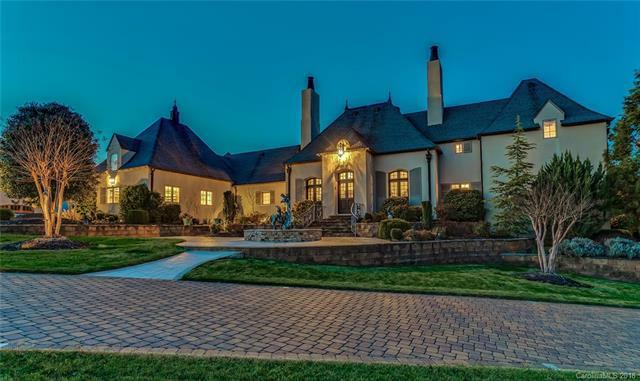 383 Silver Ridge Road, Mill Spring, NC 28756 (#3423738) :: Robert Greene Real Estate, Inc. 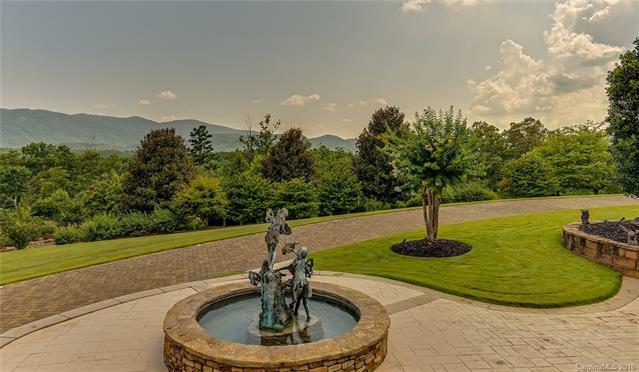 Think Pinnacle at Lake Adger - REDUCED Priced to Sell to the Discerning Buyer! 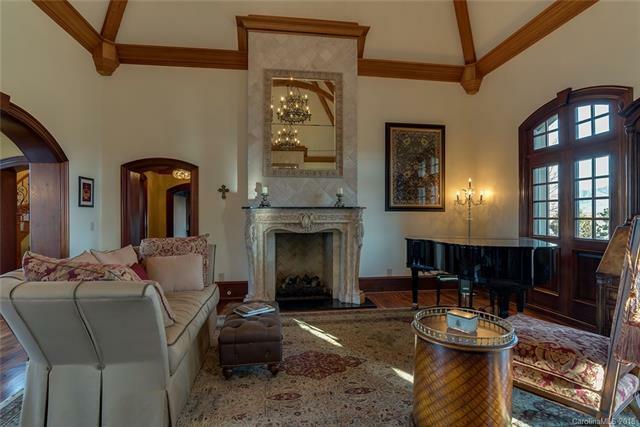 Overlooking 360-degree vistas, this 14+ acre luxury property features unparalleled craftsmanship and design. 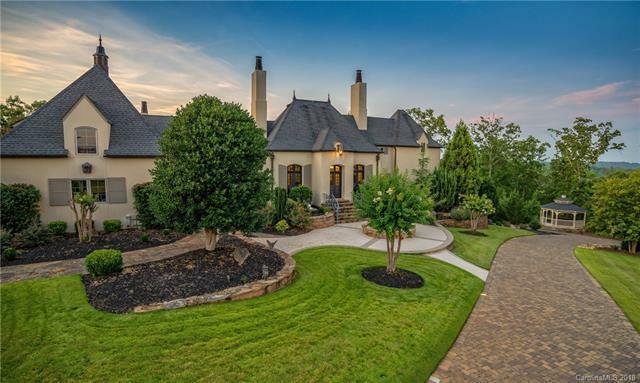 Enter this enchanting European style home to soaring ceilings in the living room and dining room. Quality features include walnut floors, beamed ceilings, built in library bookshelves, and a gourmet kitchen perfect for a serious chef. There are 2 master bedrooms, each with en-suite baths, a media/bedroom with adjoining bath, and a private second level guest bedroom with Juliet balcony and hand-painted mural. The fun spills out to the in-ground pool, covered outdoor kitchen with dining area, cozy fire-pit, and outdoor fireplace. There are 2 garages, a 3-car attached to the main house and a 5-car with 2-bedroom, 1-bathroom guest apartment above. The property comes with a marina boat slip for lazy days on Lake Adger. This amazing property is only 15 min to TIEC.